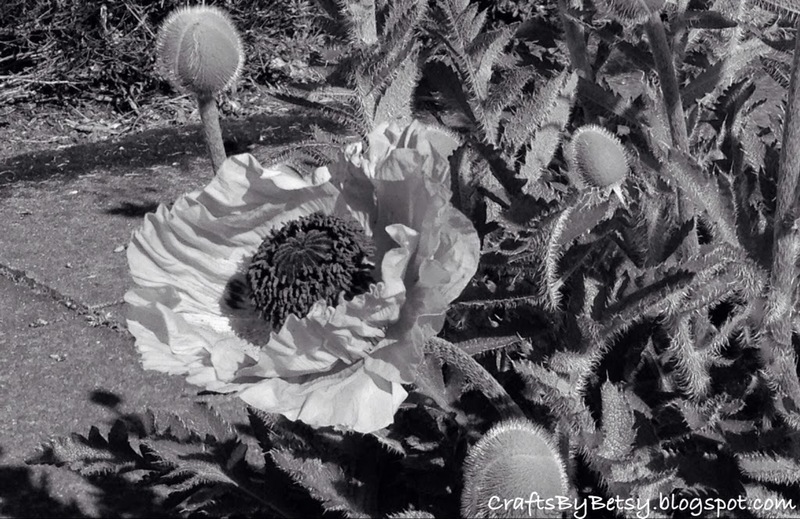 The poppy's lighter toned petals are a beautiful focus in the setting of subdued, greyer tones. Looks more impressive in B&W. Excellent textures. The petals are lovely. A beautiful b&w photo, great edit!